Today through Friday at Restaurant.com you can get (5) $25 eGift Cards for only $20. Plus earn 7% cash back from Sunshine Rewards! 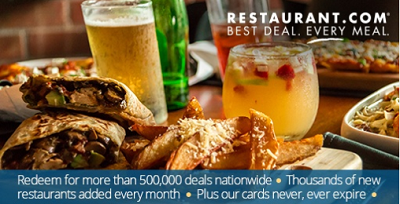 These gift cards are good for restaurants across the country and never expire.